If you’re in the market for a new Chrysler, Dodge, Jeep, or Ram vehicle or a used vehicle, but you don’t think you can afford it, it’s time to think again! Here at Meador Auto Group, our experts in the finance center will work with you to investigate the customizable pricing option that works best with your personal budget and lifestyle. We offer terrific loan and lease options on all of our vehicles, and it is our goal to make any of our vehicles accessible to anyone no matter their credit or financial history. We think that you deserve to drive the vehicle of your dreams, and with our loan and lease options, we aim to help you can do so for the most affordable price around! Both buying and leasing a car offer great benefits depending on what you’re looking for out of your next vehicle. That’s why we’re going to demonstrate a few of the key benefits that both pricing options offer to provide you with some perspective on which option is right for you! Why Buy Your Next Vehicle? Don’t drive long distances of more than 12,000 miles a year (or more with high mileage leases). 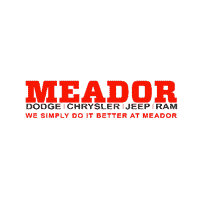 If you still aren’t sure which option is right for you, we want to invite you to join us here at Meador Auto Group and our experts in the finance center will work with you to find the pricing option that works best for you. Whether you’re interested in driving home in a new vehicle or a used vehicle, we can help you do so for the most affordable price possible. We are conveniently located in Fort Worth, TX, and proudly serve drivers from the nearby areas of Arlington, Burleson, Mansfield, TX, Irving, TX.